Much of the UK is seeing torrential rain and heavy winds this week, making driving hazardous. So here are some tips with the help of the IAM to help you stay safe out there. See and be seen. 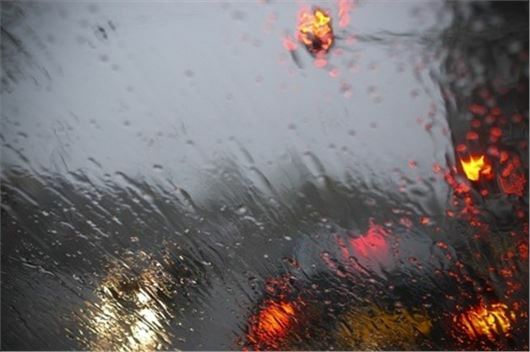 Put your lights on – as a rule of thumb, whenever you need to use your wipers you should also turn your headlights on. And before overtaking put your wipers on their fastest setting. Before you set off, set your heater controls – rain can make windows mist up in seconds. You don’t want to be fiddling with heating, ventilation and air conditioning controls when you should be concentrating on the road. In cases of severe flooding, you should reconsider making the journey at all. If it is unavoidable, and you have to drive through deep water drive on the highest section of the road and don't set off into the flood if a vehicle is approaching you because it could swamp you. If driving a diesel, check where the engine air inlet is. If below or close to the weater level, water could be sucked into the engine causing severe and critical damage. Good advice about getting ventilation settings right before driving, I would add check that you have the air intake selection as external and NOT recycle.